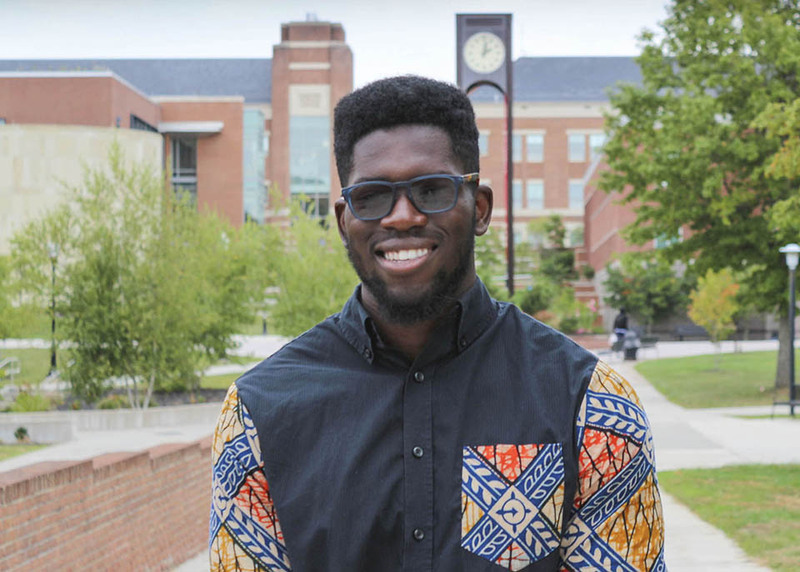 Abiodun Olojo, 19, has a plan in place for his career, and his internship with boutique creative firm SRB Communications solidified that. The College Park resident wants to become a chief marketing officer for a Fortune 500 company, and what better place to start than with an internship in ultra-competitive Washington, D.C.? Olojo is a business administration major with a marketing concentration and a graphic design minor. He put all of those skills together to work for a pro bono client at his internship, mapping out a logo choice, website rebranding, newsletters, social media and a launch party. He wasn’t just handed any client. He had the pressure of doing work for Rodney Brooks, who is the senior writer and editor of SRB Communications, and husband to founder and CEO Shelia Brooks. Rodney Brooks worked for 30 years as a deputy managing editor and personal finance and retirement columnist for USA Today, as well as a columnist for The Washington Post. The columnist is retired now and wanted a new look for his freelance and consulting work. The internship crystalized what he wants to do in the future. Olojo also absorbed the experience, seeing how the firm worked with large clients like Exelon, which oversees power companies like BGE, Constellation and Pepco. “Having all of these skilled people around me and being able to walk around and experience how they get their work done and how their thought process worked was really interesting,” Olojo said. The internship taught Olojo how to please and guide the client, making use of what he was taught at FSU. He was able to specify what would and wouldn’t work, something he couldn’t have done without his FSU experience. Olojo’s 32 hours a week at SRB Communications was enhanced through The Washington Center for Internships and Academic Seminars (TWC). The experience included a Tuesday night course in strategic communication, advising and professional development feedback from his instructor and participation in community service. FSU students completing internships through TWC are eligible for a $9,000 TWC scholarship that covers the majority of the costs, with financial aid options available to cover any remaining expenses. The Maryland state scholarship is the largest TWC award offered in the country.